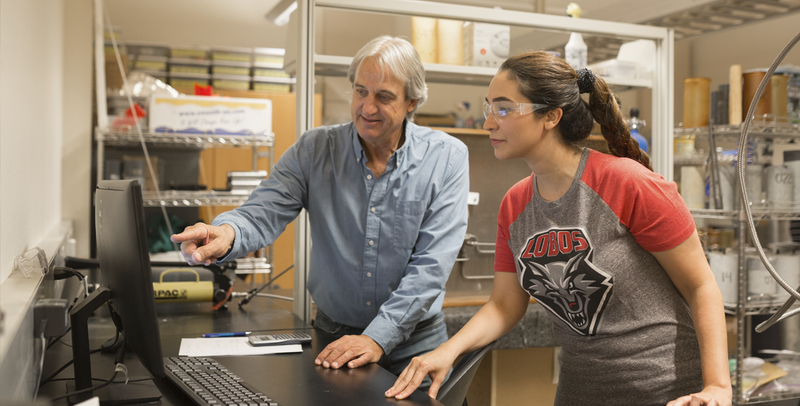 The School of Engineering (SOE) offers a variety of scholarships to undergraduate students enrolled in any of the SOE majors, including students admitted into the the pre-major engineering program. These scholarships usually supplement any other general scholarship received at the university level (e.g. Lottery, Regents, Presidential, Amigo, UNM Scholars, etc). Each scholarship has specific eligibility requirements which vary according to the funding sources. Although there are some merit-based scholarships available, there are a large number of need-based scholarships and we highly recommend all students to submit a Free Application for Federal Student Aid (FAFSA). You can submit a FAFSA online at: http://www.fafsa.ed.gov. UNM's federal aid school code is 002663.